The Supreme Court on Friday quashed the land allotted to Chandigarh law Institute Pvt. Ltd., an entity which had two sons of judge of the Punjab and Haryana High Court and a senior advocate among its directors. The appeal in the Supreme Court was filed by the Institute after the Punjab and Haryana High Court had also pronounced that the allotment of land was invalid. The institute was allotted 5.75 acres of land in Chandigarh at Rs. 900/- per square yard only. 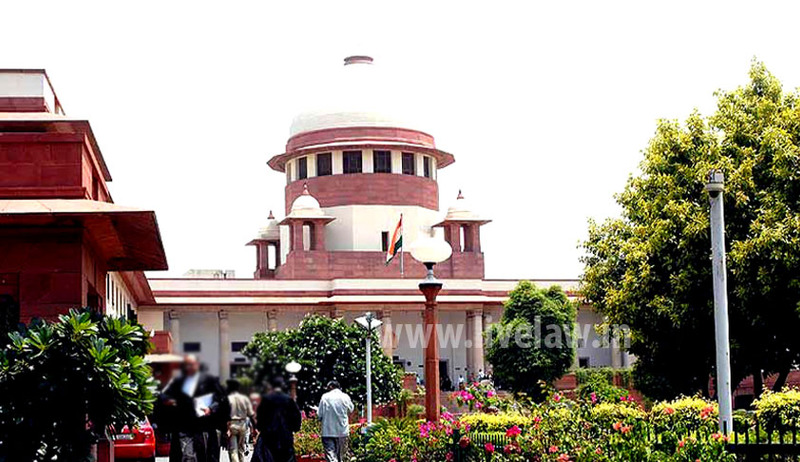 Thereafter, a writ petition was filed by Mr. Neeraj Sharma before the Punjab and Haryana High Court wherein “Division Bench of the High Court, consisting of the then Chief Justice and a puisne Judge, by two separate but concurring orders disposed of the writ petition cancelling the allotment of land and directing the Union Territory of Chandigarh to take necessary corrective steps in the matter in consonance with the constitutional philosophy of Article 14 of the Constitution of India and further directed the Union Territory of Chandigarh to take policy decision for allotment of educational institutional sites in favour of eligible persons so as to ensure that the allotments are made objectively and in a transparent manner.”, notes the Supreme Court judgment. As the two judges did not agree on certain paragraphs, the matter was referred to the third judge, who also pronounced against allotment of land and cancelled the allotment. Before the Supreme Court, the Institute argued that “the learned nominated Judge has erred in not appreciating the separate orders passed by the two learned Judges of the Division Bench of the High Court”, and the matter should have been referred to a larger Bench. The law institute also questioned the locus standi of the petitioner. It was also argued that all the procedural requirements regarding allotment were met and that the allocation was proper. Writing for the Bench, Justice Gowda answered all the issues point by point and said “It is clear to us that the respondent No. 1-the writ petitioner has filed a bonafide writ petition and he has the necessary locus.” The Court also relied upon the earlier judgments delivered by the Supreme Court regarding the issue of locus standi. The judgment of the Supreme Court has also received a comment from the formed Additional Solicitor General Indira Jai singh, she tweeted “SC strikes down allotment of land for law collegs to children of judges at throw away prices, what ethics will they teach to law students”.